The settlement in the Skagit River Valley at the time of my arrival (1873) consisted of approximately sixty whites and around 2,000 Indians A majority of the white settlers had arrived during the two preceding years. A dozen white men having Indian wives came at an earlier date. Mrs. Thomas R. Jones was the first white woman to settle in the valley. One of her children was [the second] white child born here. J.J. Conner and D.E. Gage maintained a small store at the place called "The Forks," being located in the fork of the north and south branches of the river. A little later a post office was added, the mail coming by way of LaConner. 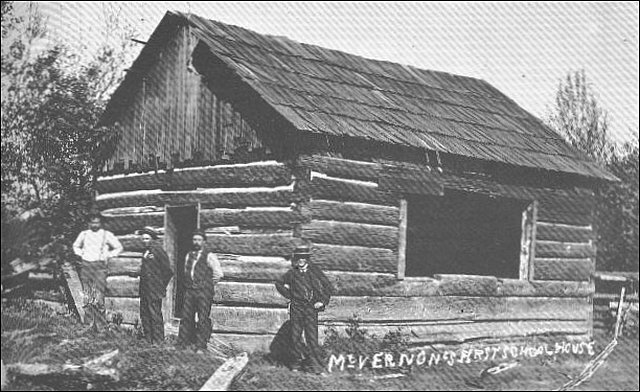 Log huts, along the river banks in the midst of an acre or two of cleared land, housed the inhabitants and, owing to the [national Financial] Panic of 1873, more or less hardship prevailed. Insect pests not yet having been introduced, crops yielded abundantly and were of excellent quality. Sloops sailing out of the mill ports with stocks of goods, carried on a profitable trade among the ranchers, logging camps and the home ports, exchanging their merchandise for the farmers' produce, which they later sold to the loggers and mill companies. Selling whiskey to the Indians was a profitable feature of their traffic. What constituted the first school in Skagit County was in progress in 1873 in a log stable on the homestead of the late David E. Kimble, a short distance below the present site of Mount Vernon. A half-dozen pupils were in attendance. Miss Ida Lanning, a popular little lass of sixteen, presided over this educational institution. Marks on cedar trees showed that water in the valley at one time, before the advent of the whites, was three feet higher than it has been since. But that may have been due to a jam of ice or driftwood in the river. Just above where Mount Vernon now stands, at this point] the river came to a sudden end, at least so it would have appeared to a person not familiar with the situation. A jam of driftwood here spanned the river for a distance of a mile and a half up stream. This jam had existed so long that it had become water-logged and had sunken to varying depths. Its surface was in an advanced state of decay and overspread by a heavy coat of river marl and supported a forest growth scarcely distinguishable from that prevailing on the river's banks. Ida Lanning. This photo and the one below of the Kimble school building are courtesy of Chechacos All, one of the series of books published by the Skagit County Historical Society. Reprints are for sale at the Society's Museum in LaConner. This forest rose and fell with the rise and fall of the river. In times of flood, owing to the settling and shifting of the mass in the upper regions of the jam, a weird note of groaning was produced not unlike that of a monster in pain, while sharp reports of breaking timber could be heard for miles around. A crude skid road around the jam built by the Indians, over which they hauled their canoes, was the only road in the valley worthy of the name. A crude skid road around the jam built by the Indians, over which they hauled their canoes, was the only road in the valley worthy of the name. Jasper Gates, living in a shake house with his family, was holding down a homestead covering the area now occupied by the main business district of Mount Vernon. Mary, Mr. Gates's daughter, was born the day the writer arrived in the valley, October 12, 1873. A.W. Williamson [also recorded as Alvin R.], a hop-grower near the present site of Lyman, was the only permanent white settler above the jam, and the writer was the second, having settled on a claim on the east bank of the river at the point where the Great Northern bridge now spans the stream. Rev. B.N.L. Davis had previously made a location on the west bank at this point, but did not occupy it until later in the season. Working in the harvest fields on the Swinomish for Samuel Calhoun in 1876, the writer made the acquaintance of the late Harrison Clothier and E.G. English. Finding that they were in quest of a location for a store, he prevailed upon them to accompany him to the Skagit. The jam had been removed to the point where Mount Vernon now stands. A number of logging camps had moved into the district, and pleased with the business outlook, they purchased five acres of land from Jasper Gates and erected thereon a two-story frame building and occupied the lower story with a small stock of merchandise. A small hotel, owned and operated by the late Mrs. Shott, and a saloon operated by John Bieble soon followed, and these constituted the first steps in the building of the pretty little city of Mount Vernon. These occurrences happened just 50 years ago almost to the day. A post office followed immediately with Harrison Clothier as postmaster. 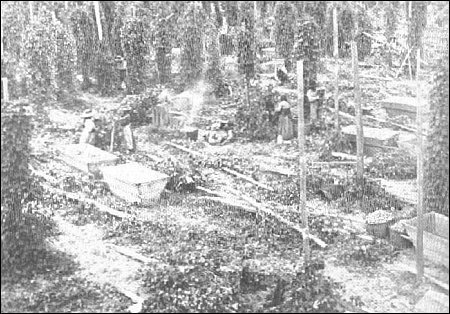 This photo shows hop harvesting methods on the Dennis Storrs ranch, west of Mount Vernon, circa 1880s. In 1852 Oregon still made shift under a territorial form of government and included within its boundaries the entire state of Washington. In the following year, however, Oregon, received a state government and Washington was given a territorial organization [actually, Oregon became a state in 1859]. 1. Earliest river settlers The Illustrated History of Skagit & Snohomish Counties, published in 1906, (hereafter the 1906 History) has a section (p. 681) that lists those settlers living on the main Skagit River and its various forks as of 1873, when Klement arrived. Further up the river [from Fir and Conway] were Joe Lisk, William Caton, James Abbott and John Wilber, in regular order toward Mount Vernon, all squaw men. Next came Thomas and John Moore with their white wives, and Robert Gage and McAlpin [McAlpine] came next after them, all on the west side of the river. To the south was Tom Jones, who came shortly after the Villeneuves. There were no roads, and travel was wholly by boat. Mrs. Villeneuve had preceded Mrs. Tom [Moore] and Mrs. John Moore, and was thus the first white woman in that section of the county. At that time on the site of Mount Vernon were Mrs. Jasper Gates, Mrs. [Augustus or George?] Hartson and her mother; Mrs. Kimball [Kimble] and Mrs. [Levi] Ford, the Washburn family not coming till later. [P. 104, interview with Thomas P. Hastie Jr.] [Neighbors from 1870 on] Franklyn Buck, DeWitt Clinton Dennison, Bus Lill, Samuel S. Tingley, Magnus Anderson, William Brown, Joseph L. Maddox, Thomas R. Jones, Peter Vander Kuyl, Moses Kane, John Guinea, Quinby Clark, [unknown first] Fay, T.J. Rawlins and Charles Henry. 2. 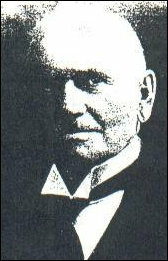 Thomas P. Jones Jones was an 1869 immigrant from Conway, Wales. He platted the town on the south fork of that name and the Jones Road east of Conway is named after him. The Skagit News of July 14, 1885, reported that. "The first sloop to come up the river, at least after there was any settlement to recollect the fact, was the True Blue, chartered by T.R. Jones to take himself and family from Port Madison [on Bainbridge island, the original county seat of Kitsap county] to the Skagit [north fork of the Skagit river below Mount Vernon] . . . Mrs. T.R. 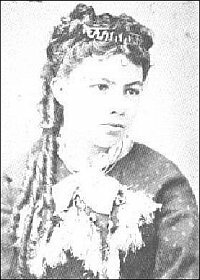 Jones, as some time ago stated, was the first white woman on the Skagit, coming to the north fork." This is the Kimble outbuilding used for a school from 1872-80. Ida Lanning was the first schoolteacher there and later Mount Vernon founder Harrison Clothier taught a winter session there. The Kimble farm was located alongside the lower log jam south of Mount Vernon, near Britt Slough. 11. Oregon and Washington territories Most readers do not realize how huge the original Oregon Territory originally was. We consulted the terrific resource book, Historical Atlas of Washington, by James W. Scott and Roland L. DeLorme (1988), with maps by Ted R. Brandt and Patrick S. Grant. When Congress established the Territory of Oregon in August 1848, the land mass included the three present states of Oregon, Washington and Idaho. The northern border of the 49th parallel followed the 1846 border agreement between the U.S. and Great Britain. Missouri Territory extended from the eastern border; California formed the southern border; and the Ocean formed the western border. When Congress authorized the formation of the Washington Territory on March 2, 1853. The southern border of the new territory was the Columbia River and the 46th parallel, which extended east so that the new territory included roughly the northern half of the present state of Idaho. When Oregon became a state in 1859, Washington Territory was expanded to include all of modern Idaho and a slice of northwestern Wyoming. Find other stories about very early settlers and people mentioned in this story at this Journal portal site with stories of the pioneers in western Skagit County from Hwy 99 to the Puget Sound.